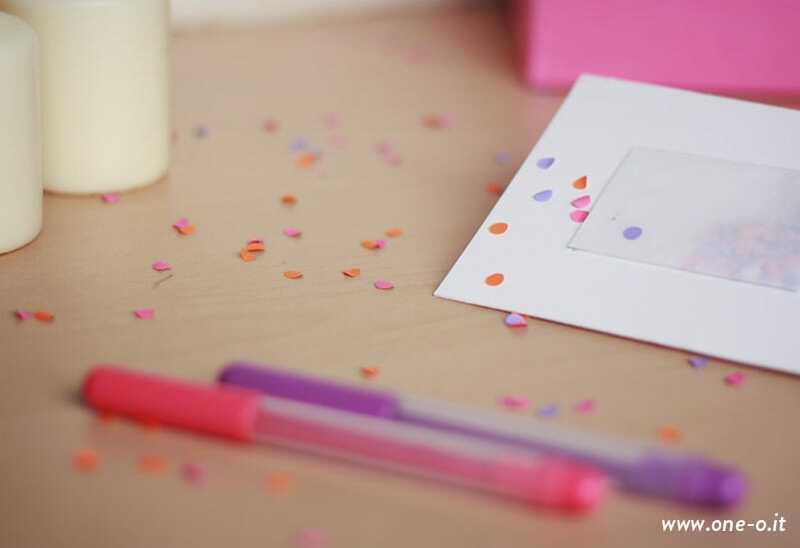 Chiara and Irene from One O Textile are here with a fun tutorial for how to make confetti party invitations. I love this idea so much I think I’d find a way to use them for every occasion. 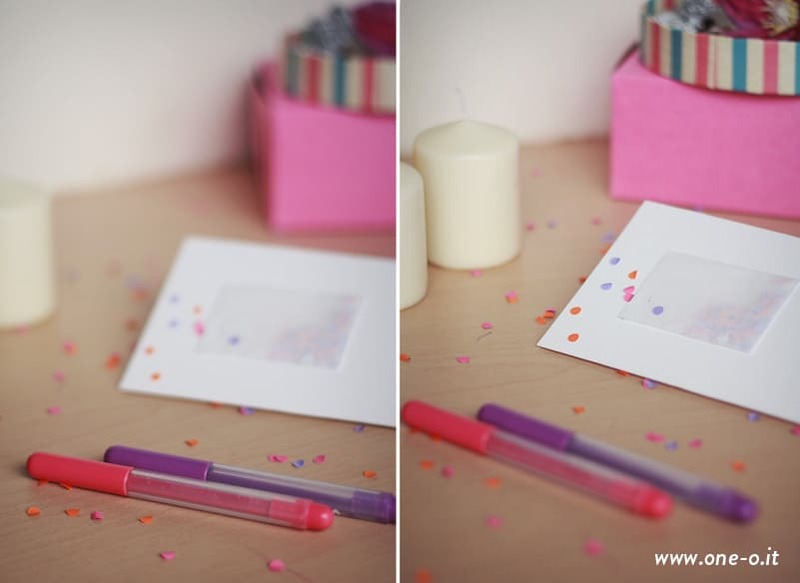 Are confetti cards a bit too much for a Thinking of You card? Heck, no. Thank you card? 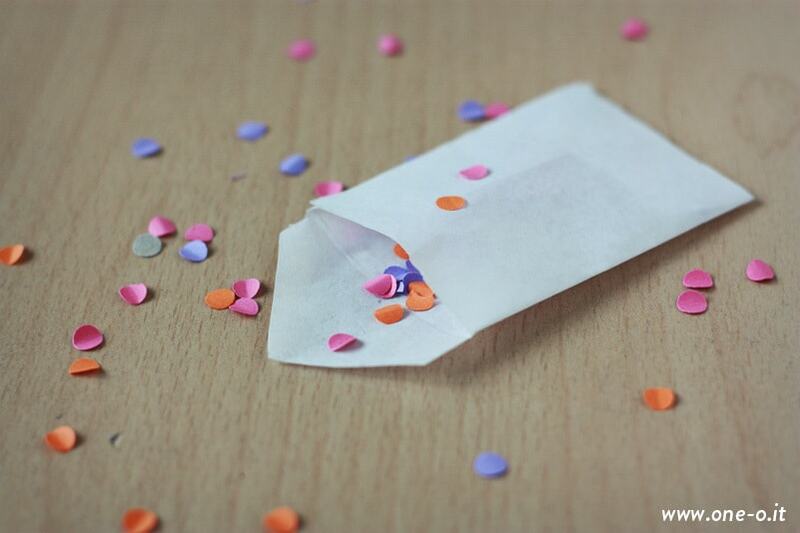 No better way to say thanks than with confetti. Mother’s Day card? You are definitely her favorite. 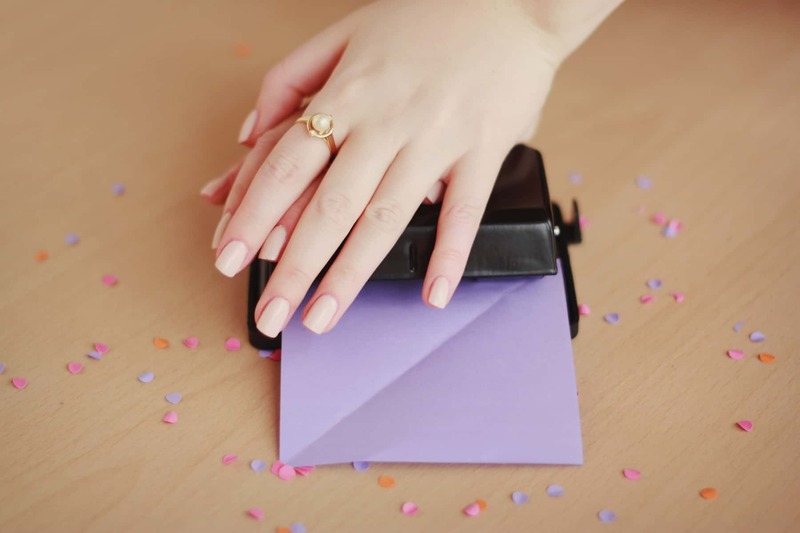 Speaking of Mother’s Day, head on over to One O Textile for easy handmade projects you can make for Mom. Check out their Andy Warhol-esque vase, the pretty personalized notebook, and the geometric frames. If you’d rather just order something for Mom, head on over to the One O shop on Etsy to see their handmade goods from Italy. It’s our first post here so a teeny tiny brief is due (don’t worry we won’t be too chatty). We are Chiara & Irene, 20-something graphic designers from Turin, Italy. Last year we started a small business called One O devoted to creating handmade textile and soft furnishing for your sweet retro homes (and we love it!). In October, we also started a blog to share with you fun facts, colorful DIY projects, freebies and more! We’re kind of weirdos (just a bit don’t worry!) that go bananas when it’s all about crafty cute DIY, home personalization, succulents (probably more Chiara) and polka dot whatever-it-is things (that’s Irene). But let’s stop talking, it’s time to share a project! 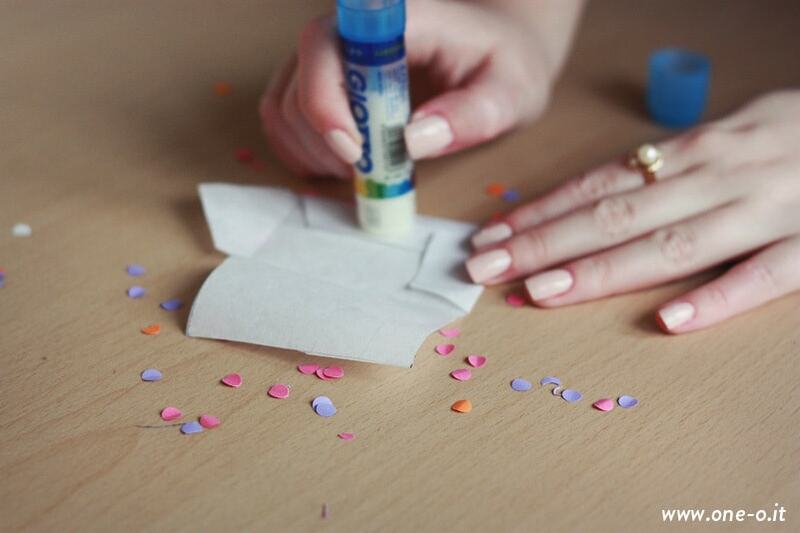 This one is part of a series we hosted on our blog called “the confetti series” dedicated to a birthday themed party! 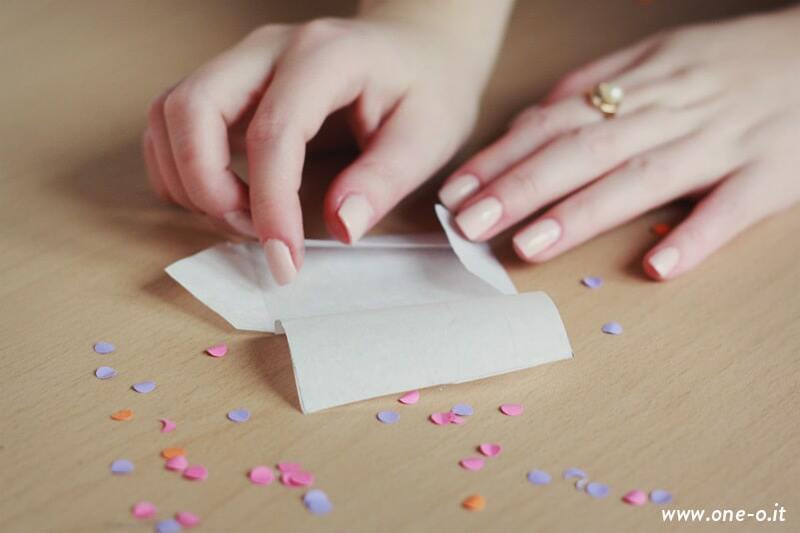 First of all confetti!We didn’t have any at home so we decided to make them. As you could imagine this is quite straight forward! 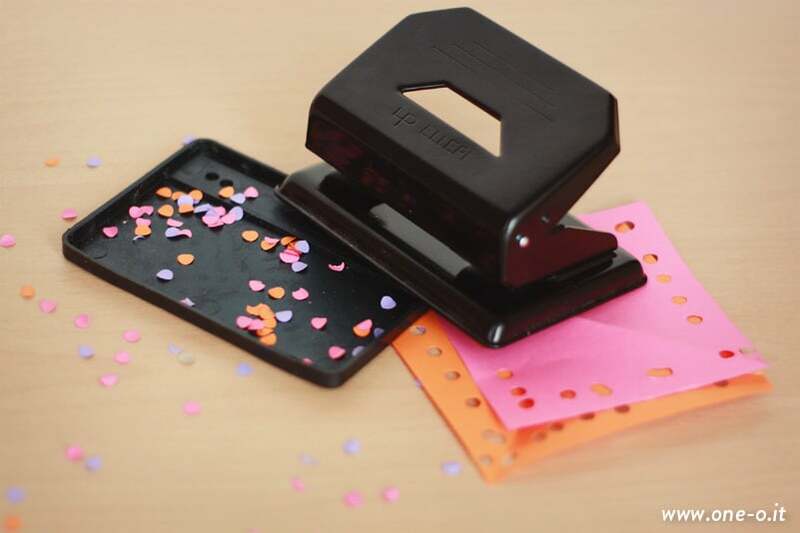 Just grab the hole puncher and start making holes on coloured papers like mad! 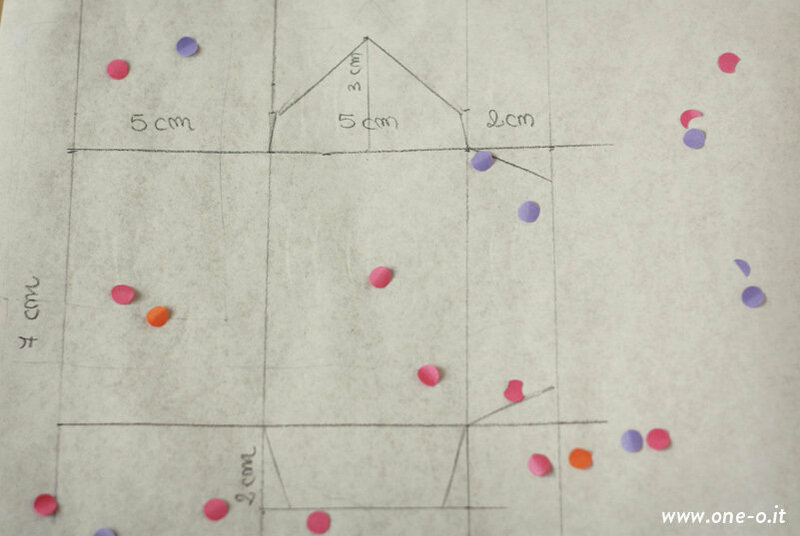 After a few mins you feel like Charlie Chaplin in Modern Times, but the satisfaction of having coloured dots is just one of a kind!Now grab white cardboard (A4 size) cut in two and bend in half. Add the perfect phrase for your event: we were not happy with our calligraphy so we decided to print it (if it looks good to you, you can download it here). Now the most difficult part (not too much don’t worry!). 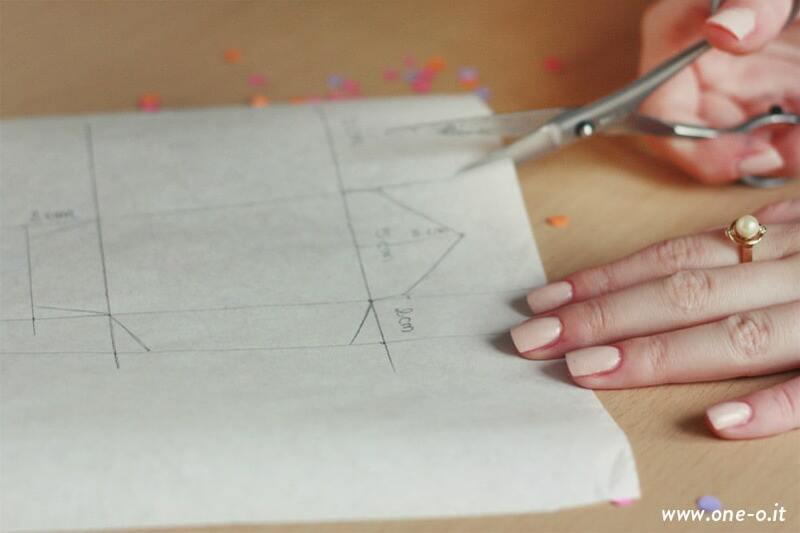 Draw on the tissue paper an image like the one you can find down here (5 cm width and 7 cm height for the central part). 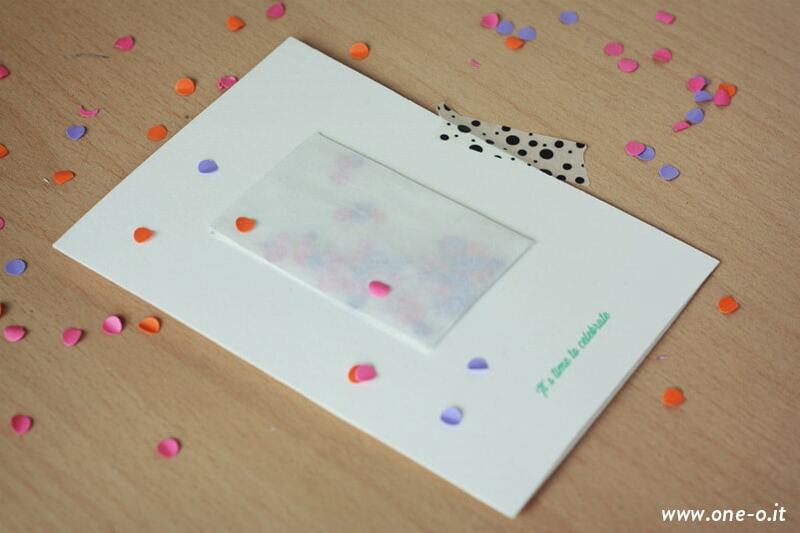 Once you have cut and glued everything like in the pictures below it will be a perfect envelope! 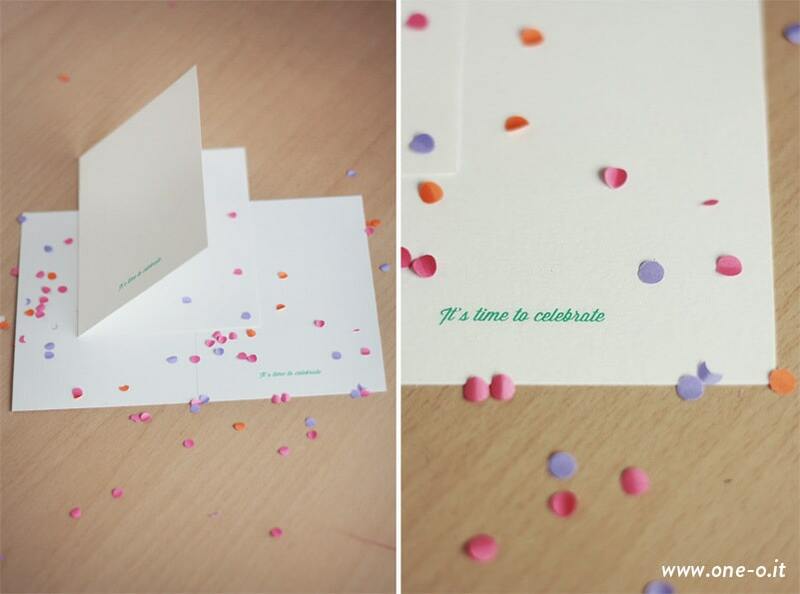 Now fill it with confetti and glue it onto your card. Voila, finished! 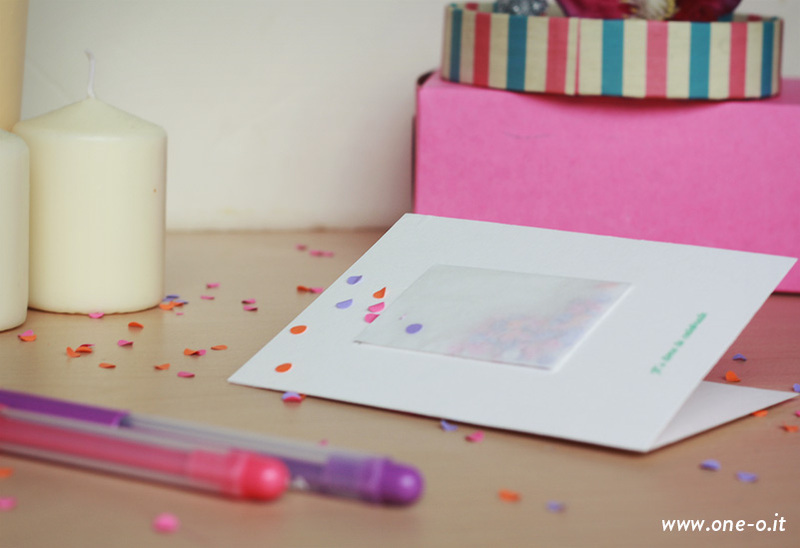 Personally we love handmade cards. They need a little bit more time to be done but they have some kind of uniqueness! So cuuute!! I love this idea! You made me smile!